Nature giveth, nature taketh away. The number of posts on social media related to the collapse of the Azure Window, or ‘Tieqa tad-Dwejra’ as it is known in Maltese, reached uncountable levels soon after the incident. Pictures of ‘the arch that had been’ flooded news portals, Facebook, and everything else in between. It is understandable, of course. 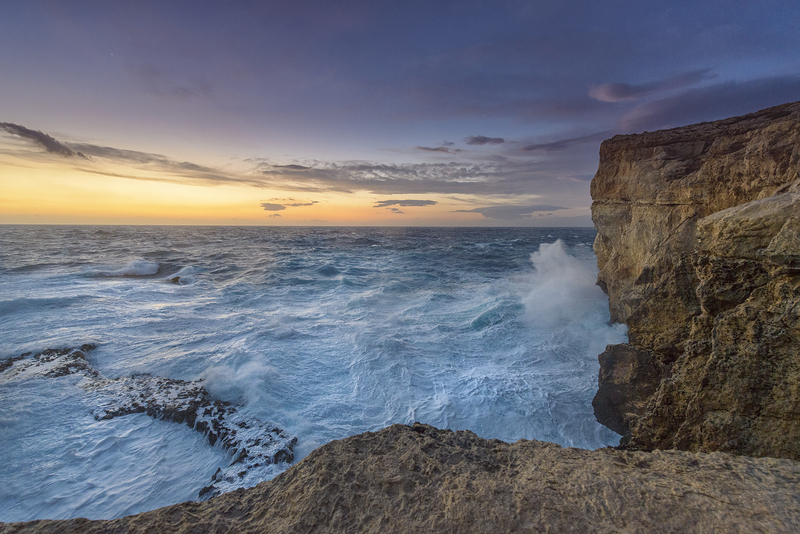 This was a spectacular and iconic natural landmark that had become synonymous with Gozo, and without which, no trip to the sister island would be complete. Natural processes formed the arch, and natural processes took it away. As a fierce Mistral wind howled on Tuesday, continuing overnight and well into the dawn of that fateful day, I found myself thinking about Dwejra – as I so often do. I wondered about the strong beating the arch must be sustaining. As I crossed over to Malta that same morning, I caught myself thinking again about it, right as the ferry turned around Comino to avoid the brunt of the waves. How many more such violent storms would the arch endure, I wondered? I had grown up admiring its beauty, photographing it from very many angles – from the ground, from beneath the waves, and now that modern technology regaled us with drones, from the sky. The photos recorded an ever widening arch as we regularly encountered freshly fallen rocks when diving the surrounding waters. The arch, sooner or later, was destined to disappear. And now it has. It would be insincere of me if I said that I was not shocked when it happened, or that I am not saddened by its demise. However, while the Azure window was perhaps Dwejra’s most visually striking aspect for many, this site is much more than the lost arch. In fact, a lot of nature’s true marvels at Dwejra have always been somewhat overlooked by virtue of the major attractor that was the arch. The geologic beauty of the Inland Sea, the majestic cliffs with their coralline limestone glowing in the setting sun, the solitary fungus rock, the myriad species of flora and fauna including the shearwater that make the aforementioned cliffs their home, the impressive scenery below water, amongst them caves, tunnels and coral beds, the marine life (which we should better protect) – and, at night, the solemn view of the Milky Way, a sight ever threatened by encroaching light pollution. All of this natural beauty – and more – still remains in Dwejra. And it is up to each and every one of us to respect, conserve and protect it as best we can. The picture featured here was snapped this evening as soon as I returned to Gozo.